To all still interested in learning Kendo! The Dasma Village Dojo in Makati City is still open to accepting beginners! Especially for those whose interest was piqued after sampling it during the Oshaberi Salon. So why wait? 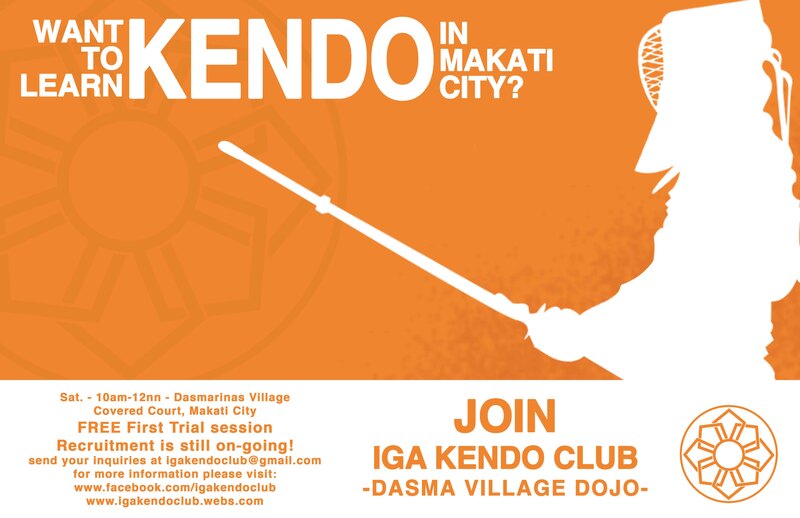 Go to the Dasma Village Covered Court this Saturday, and try out Kendo! For those who plan to go, please answer this Google Form so that we can know to expect your visit. Thank you very much! This entry was posted in Recruitment and tagged beginner, Dasma Dojo, Dasmariñas, dasmarinas village, Iga ken, Iga Kendo, IGA Kendo Club, kendo, Makati, training. Bookmark the permalink. ← Welcoming the Arena Dojo Nov 2014 Batch!